Sat. - Sun. 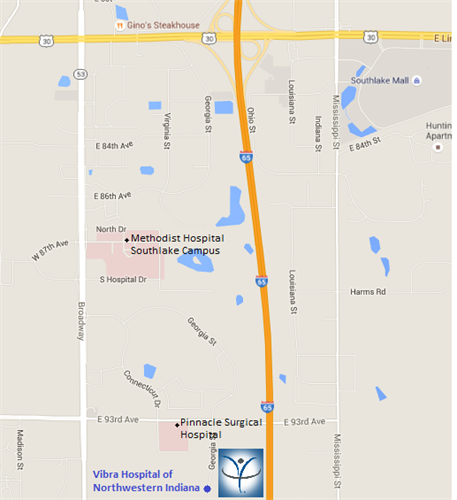 : 9 p.m. - 7 p.m.
Vibra Hospital of Northwestern Indiana is a licensed Long Term Acute Care Hospital (LTAC) located near Merrillville, IN.